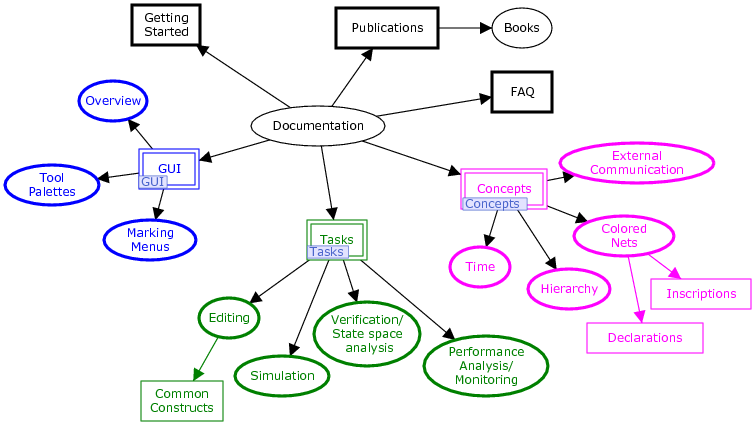 The tool features incremental syntax checking and code generation, which take place while a net is being constructed. A fast simulator efficiently handles untimed and timed nets. Full and partial state spaces can be generated and analyzed, and a standard state space report contains information, such as boundedness properties and liveness properties. CPN Tools is originally developed by the CPN Group at Aarhus University from 2000 to 2010. The main architects behind the tool are Kurt Jensen, Søren Christensen, Lars M. Kristensen, and Michael Westergaard. From the autumn of 2010, CPN Tools is transferred to the AIS group, Eindhoven University of Technology, The Netherlands. The latest released version is version 4.0.1 from February 2015. Get it from the Downloads page. For a full list of new features for each version of CPN Tools, Access/CPN, and Grade/CPN refer to the Whats New?-list. 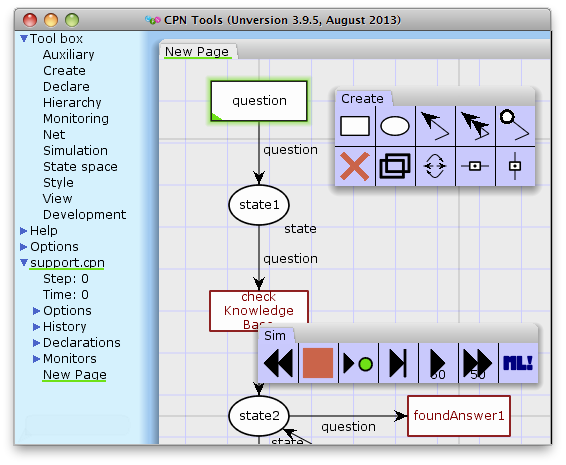 CPN Tools is free software; see here for licensing information. It should be straight-forward to install CPN Tools; otherwise, read the help pages.